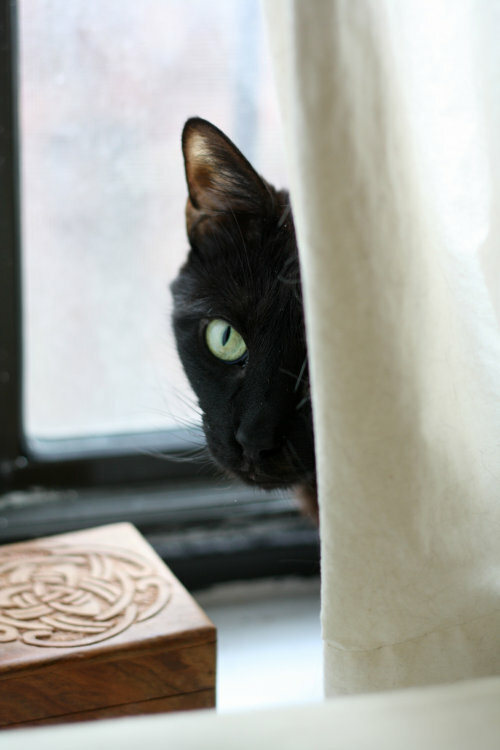 Today is Friday the 13th, so we thought it would be fun to discuss etiquette and superstitions. The most important rule for dealing with superstitions and superstitious people is that though superstitions can seem irrational, they are a big deal to the people who believe in them. So, don’t make fun of someone for their superstitions (making fun of people is bad manners any time!). If you, yourself, have some superstitions, don’t feel that you have to hide them. However, don’t get angry if someone inadvertently does something like throw a black cat across your path. They probably don’t realize it will bother you. Be more concerned with why this person is running around with a sack full of black cats and throwing them everywhere. Some people consider it bad luck to give knives as a gift. Giving something that cuts can “sever” the relationship between the giver and the giftee. To avoid this happening, the giftee should “buy” the knives from the giver for a token amount, such as a penny. Some people will even include a penny with the knives for the giftee to give back. It’s pretty common, so don’t be surprised to find a penny in a set of gifted knives. If you spill salt at the table, throw a pinch over your left shoulder to scare the devil away. Opening an umbrella inside the house brings bad luck (or pokes someone’s eye out! Safety is an important part of etiquette rules). Apparently some people think it is bad luck to sing at the table. This makes sense for etiquette since singing also prevents others from talking and is possibly annoying. Drop a fork, a woman will visit. Drop a knife, a man will visit. Drop a spoon, a child will visit. Better change the sheets on the guest bed and be a good host! For Americans, superstitions are quaint customs and don’t really influence etiquette all that much. Interestingly, in my research, it appears that in other countries, superstitions are much more influential on everyday etiquette. In many Asian cultures, as white is the color of death, it is very important to never give gifts wrapped in white paper and to avoid white flowers. In Greek Orthodox wedding ceremonies it is considered good luck to spit (fake spit!) on the bride as she comes up the aisle. In Italy, the evil eye is a major superstition, especially for babies. If you compliment a baby, it is best to say “without the evil eye” afterwards so the mother doesn’t think you are cursing the baby. In India, cash gifts on any occasion always have an extra note (51 rupees, 101 rupees…) to bring good luck. In Ireland it’s bad luck to stumble in a graveyard; if you stumble and touch the ground you will die by the end of the year. If a pregnant woman steps on a grave her child will be born with a club foot, unless she kneels and makes a cross across her foot three times. What do you think would be the right word for having a phobia of etiquette? Etiquetteaphobia? Postphobia? Seems like it’s a pretty common phobia, with all the bad manners out there!